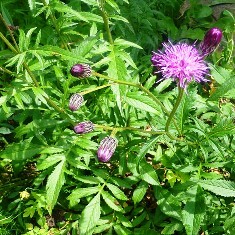 As my new dye garden is so small I have had to limit the number of dye plants I grow. 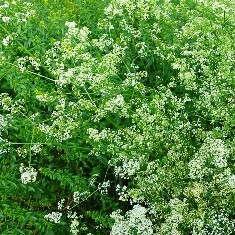 So I have decided to grow only native dye plants, or plants like woad and madder that were introduced into Britain at an early date. 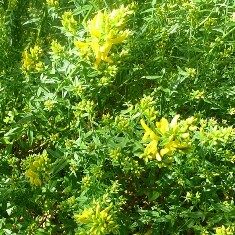 Last year the woad crop was very disappointing. 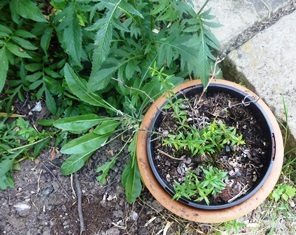 No self-seeded woad plants grew and the seeds I sowed produced only a few plants. 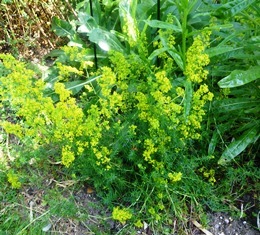 However, this year has made up for it and I have many woad plants growing well. 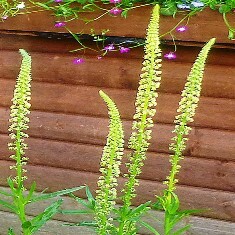 Weld, too, has grown better this year. The dyer’s broom (Genista tinctoria) is just coming into flower and the saw-wort (Serratula tinctoria) is also starting to flower. 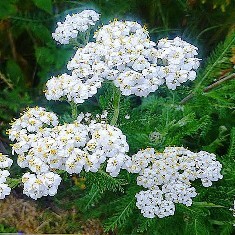 The yarrow is growing really well this year.